Intercolonial Tyre is the best retailers and tyre service in Marrickville that offer distributing tires, tubes for the passenger, and commercial vehicles. 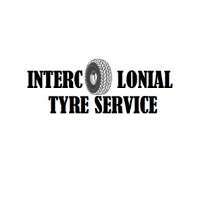 Intercolonial Tyre Service was founded in 1978. The company's line of business includes distributing tires, tubes for the passenger, and commercial vehicles. At Intercolonial Tyre, we give you more. You’ll get quality auto repairs and tyre service every time-nothing less. Wait with your vehicle in our comfortable waiting room or just relax for a bit. Why Should You Call Intercolonial Tyre Service? • Auto repairs performed by expert technicians. Our services include brake repairs, lube and oil changes, battery service, wheel alignments, and more. • Tyre service including computer spin balancing, flat tire repairs, and tire rotations. • Great deals on tires from top brands. Enjoy all this and more when you choose Intercolonial Tyre for your auto repairs and tyre service in Marrickville, NSW. Give us a call or visit our store now!